Continuing with what we discussed in Part 1 of this post, we will go through some more pointers that will help you get started with your iBeacon trial and move ahead in the right direction. Read more about Step 1: Purchase beacons, and Step 2: Plan your app, here. iii) Managing and maintaining beacons – using a beacon management system to help you monitor last ping time, battery levels, firmware version upgrades, etc. Once you have deployed beacons, it’s important to integrate beacon-enabled campaigns into your marketing, sales and customer engagement strategies. Assess if you need a platform to manage these campaigns. For small scale deployments, you may choose to code beacon-triggered campaign logic into your mobile app’s source code. But as you scale up, for every new coupon or discount deal, it will not be possible to keep rolling out updates to your app on the app store. Choosing a software platform for managing notification rules and measuring the effectiveness of your campaign through analytics is therefore crucial. 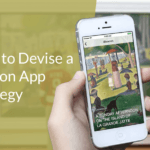 This will help you understand the issues that come up during implementation of a beacon strategy, which parts of the strategy are easily scalable and which parts are not. A good practice is to start with a small pilot with a limited set of people and at few locations. The best way to do this is to choose a maximum of hundred volunteers who could experience how your app works, and how it interacts with beacons. Keeping it a ‘closed’ and ‘limited’ project will help you manage the project better. Also try varying the ‘messaging intervals’ to understand what is the optimum time interval for sending consequent messages. The most important aspect of running a pilot is to learn from it. Make sure you ask your volunteers for feedback – what they liked about their beacon experience and what they didn’t. Taking feedback into account will help you go ahead with your full-blown beacon strategy with confidence. After running the pilot, you need to analyse the results and take decisions for your future course of action. Firstly, check the adoption rates. Did customers who tested the project bother to download the app? If yes, why? If no, why? You need to ask your customers if they saw any “value add” to their experience or did they find the messages too ‘pushy’? Was your approach right? Were they happily surprised to receive an offer in a particular section, or did they feel it was delivered ‘too late’ or ‘too early’. Were you expecting them to do something they wouldn’t normally do – say buy chips at x% discount inside your museum? Have a look at the analytics – did the footfall increase/decrease? You could perform A/B testing with some product and location combinations within your store. This will help you optimize product placements and layouts. Find out what kind of messages worked for you and what didn’t. What kind of messages saw the maximum click through – you could use such messages more. Following the above steps will help you try out your beacon strategy easily and effectively. I am sure you will find these useful. Let us know in the comments below. 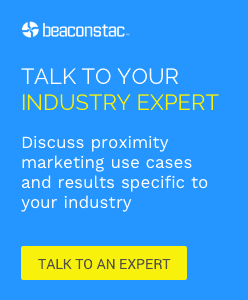 Looking to add beacons to your mobile strategy? Beaconstac enables location-aware mobile apps for businesses to deliver superior customer experiences through the use of beacons for engagement, messaging, and analytics.